I met my wife in hell. In the bowels of a Christian haunted house. I was playing some sort of motorcycle riding bad boy; she was playing the role of my sister. Nothing weird, just evangelism. I remember my dorm floor chaplain asking me to be in the play. I wasn’t interested. And yet felt that I needed to be a part of this “scare people to Jesus” movement. At our first practice, I was immediately attracted to the other woman playing my sister. You see, we had two casts that rotated turns acting throughout the night. No polygamy or Arkansas relationships going on here. Turns out I was attracted to a mean married woman. I’ve never known much about the lady folk beyond Jane Austen. We rehearsed, rotated through the different walkthrough sets, finalized how things were going to go down. I didn’t notice Tabitha until the next night. We were between scenes. It was late. I was laying across some chairs, tired. She didn’t see me and almost sat on me. We laughed. I knew I could talk to her about almost anything. I told her something about my Grandpa Ayers, not sure what. The sister I hadn’t paid a second thought to was suddenly front and center. Tabitha and I always laugh about how we first met. How we were both in a place where we had given up on dating, on finding the “one”. Heck, Tab wasn’t even supposed to be at school that semester. A cancelled class, much to her displeasure, put her on campus at the same time as me. God is funny. Life hasn’t turned out the way either of us thought it would. I’m still working in an unhealthy work environment with zero room for advancement. We haven’t been able to have any more children beyond our only son. The Special. I think we’ve been in a period of refocusing. Trying to figure out who we are as a family and who we want to be. I’m not sure what the future holds. We could be leaving East Texas; we could be adopting children. I have no idea. But I do know that obedience to God, that stepping out and following Him, has always been hard but good. Woke up yesterday a bit late. Didn’t have time to exercise. So I jumped into the pool for a bit. In May, East Texas received record amounts of rainfall. I was beginning to think that I had somehow moved to Seattle. As I got into the pool, I noticed a small frog on top of a lounge float. He didn’t stay in the pool long. One might say he flipped out. Work has been slow lately. My firm is in the midst of gearing up for two projects. Both projects are simple. I’m not sure what anyone is going to be working on after we complete them. After seven years of working as an office manager, I am feeling ready for a new challenge. I am ready to work for a company that offers job growth outside of going back to school to get a degree in architecture. I don’t want to be a frog stuck in the same pool. Time to hop out. Just need to figure out what hopping out looks like. 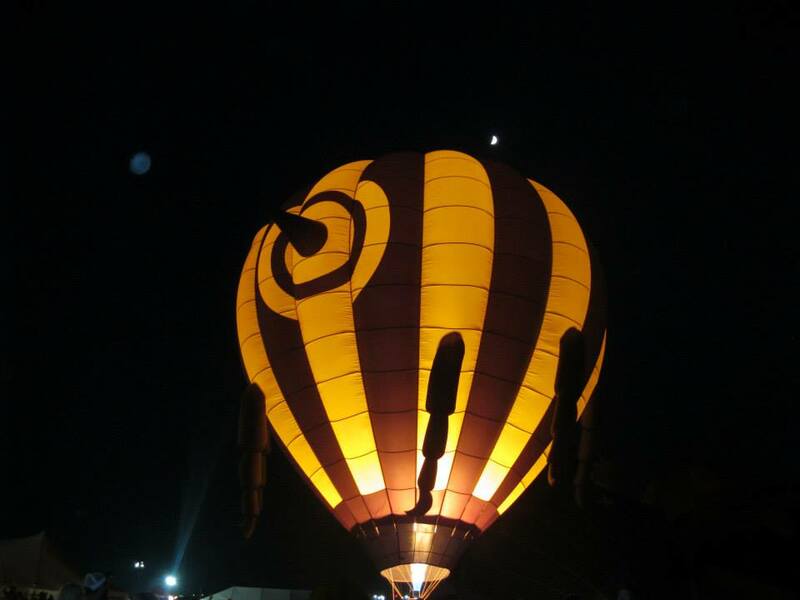 Saturday night, the family and I buckled in and headed out to the Great Texas Balloon Race for the balloon glow. 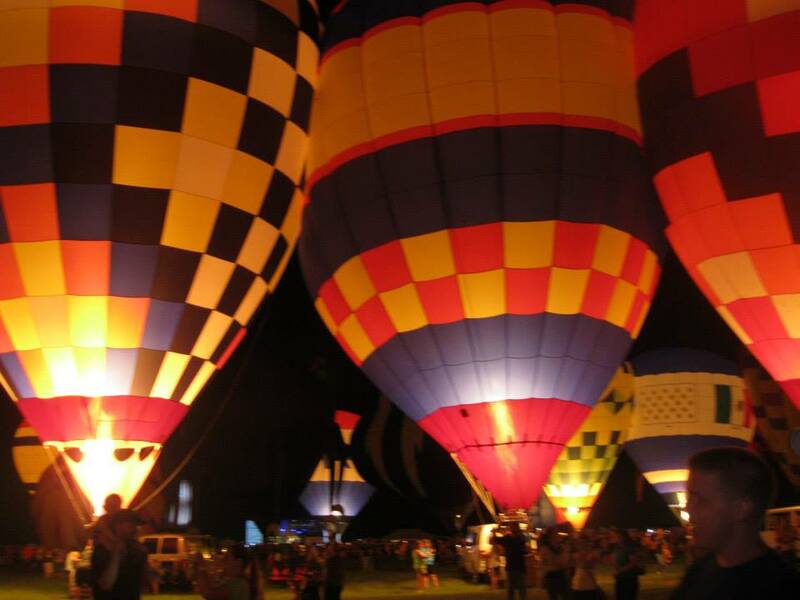 There is nothing like standing among 30-40 hot air balloons and feeling the heat come off their burners as they all fire in unison. The weather was cooler this year than in years past where we’ve experienced 90 degree heat. 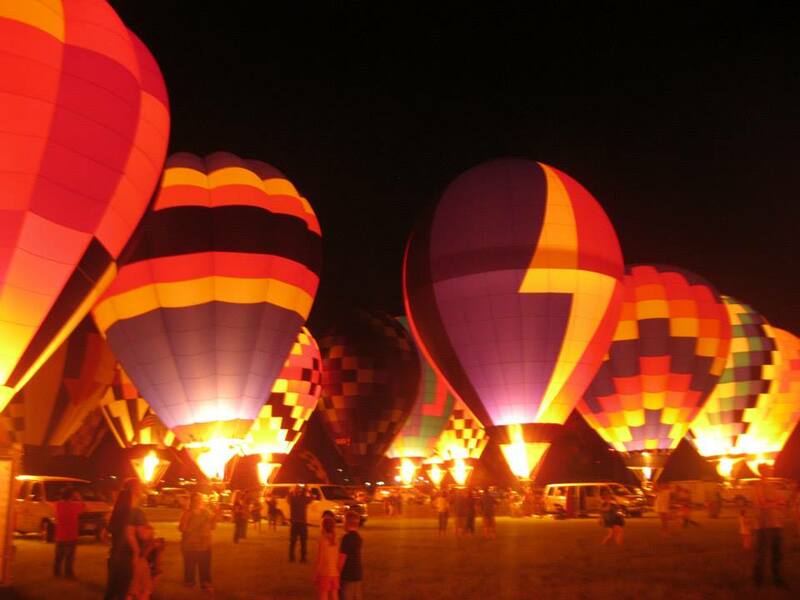 Couple the outdoor temperature with the heat from the balloon burners and suddenly you feel like you are in an inferno of sorts. Until next year. Neon lights mix with the sound and smell of sizzling fajitas, nothing like a Mexican food restaurant in East Texas. My pastor and I had a lunch meeting a few weeks ago. During the meeting, he encouraged me to start fasting as well as read Fasting by Jentezen Franklin. I have since done both. 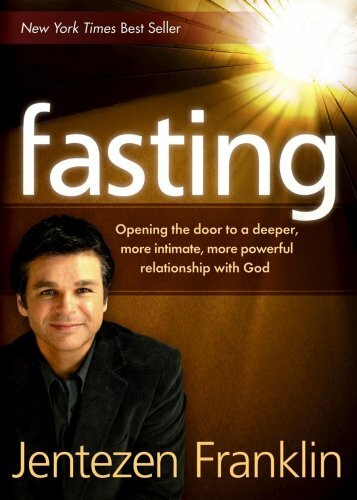 In the book, Jentezen discusses a Biblical command that is often ignored, fasting. Matthew 6:1-18 serves as the Biblical aircraft carrier from which he launches his book. The following are some quotes and notes I jotted down while reading. Partial fast (giving up particular foods or drinks for an extended period of time). What do you think? Any thoughts on fasting? In East Texas, especially in the City of Longview, the locals jokingly say that there is a church on every street corner. If you think about this, this means that the city’s original churches fractured and then multiplied. Division beget division; street corner after street corner was soon bestowed with a church. Just as the Internet does not need another Christian video game site, the world does not need another church building. While it is true church buildings serve as a central place for Christians to receive Biblical teaching and fellowship with fellow believers, we were never meant to stay in one place. If you think about it, what do church buildings help foster? Isolation. Sure we can invite our “lost” friends to church, but do we? Most of the time, we fail at reaching out to those that Christ came to save for the sake of comfort. I’m guilty of this. Why invite an outsider to Cheers, right? …he intentionally lives in Atlanta because all the other major rappers live there. He wants to be in the culture, because he knows that God can use him there. Same goes for him using rap to spread the Gospel. I do think that it is important that we, as Christians, grow and fellowship with one another. I just think that the emphasis on the building, that some churches put into theirs, is wrong. The Church isn’t about the building but about the people. We need to be engaging, loving, and acting as Christ’s hands and feet in this broken world, with or without a building. I stood out in the front yard last night watching the clouds swirl by. A storm was coming. The sky was growing darker by the minute as the clouds rotated in an eerie fashion. Sirens blared off in the distance, a tornado had been spotted in the northern part of our county. Beauty and death danced before me in the clouds, such a mix of awe and fear. Back in the house, the weatherman was drenched in full HD glorified sweat. I openly wondered if he was going to have a heart attack. He didn’t. He did, however, rant and rave about “rotations” and “charging up your cell phone”. There was no calm, no awe in his voice, just fear. When the weather outside is possibly life threatening and the weatherman is swamped in a fear-induced froth, I find it hard not to become fearful as well. But fearful of what? Tornadoes, “death from above” as I like to call them, are random creatures. They can be slow moving and quick to strike without notice. In other words, I have no control over them. Journeying through life, we live under the illusion that we are in control. We aren’t. Lately, I’ve been studying through the Old Testament. Reading through the book of Joshua, I have read time and time again of God orchestrating massive events, even using evil things for good. Though we are not in control, God is. Even in times where it doesn’t seem like He is answering our prayers, He is working behind the scenes as the book of Haggai points out. But even with God in control, our daily choices still matter. Choices such as whether to let fear rule our lives, instead of the hope of Christ (for those who have accepted Him), these choices matter. Are the clouds of fear swirling around you? Does destruction seem to be looming on the horizon? Take hope in that God is orchestrating all things for the good of those who love Him. Tuesday (4/26), my morning started with a phone call from my Mom. She was calling to tell me that my Grandma Hall had died. After battling alzheimer’s for over six years, her vacant body finally decided to give up. I have a mixture of emotion over her death. On one part I am happy that she is no longer suffering; the other part of me misses her. I hate how my memories of her are tainted by the the disease that took away her mind. My Grandma Hall was such an amazing woman. So smart, well read, and up on the current events of our time. She was also a lover of history, just like me. I’ll miss you Grandma. 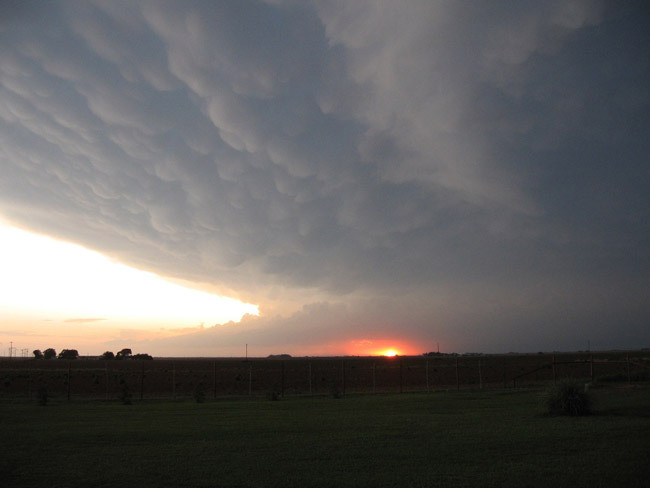 Tuesday evening, we had severe weather roll through East Texas. A fantastic way to end an already cruddy day. My wife and I spent the majority of our evening watching the local news. Probably not the best decision but it kept us informed on what was heading our way. At one point, we had a tornado heading for our house! Somehow, at the last minute, the tornado dissipated. Whew! Talk about a little excitement for the night.